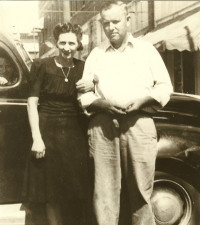 1927 – Grant Clanton, also knows as “Sweet Tator” was a farmer in Craig County Oklahoma. 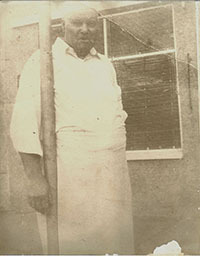 In 1927 he decided to open a restaurant named Busy Bee Café which is currently identified as Oklahoma State Bank’s parking lot. Sweet Tator was known for coming out and banging a pot with a spoon to announce to the town locals that lunch was ready. The local merchants would then close their books and head to the Busy Bee to dine. 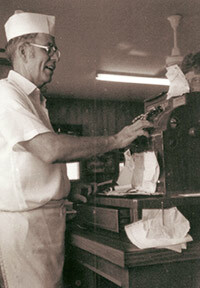 1930 – The first Clanton’s Café was opened on the corner of Canadian and Vann. 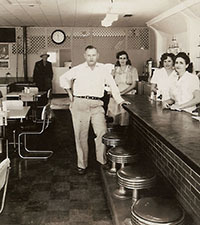 1947 – The current Clanton’s Café building was built on what remains to be the current location on Illinois Street. Late 1950’s – mid 60’s, Tom and Argene became partners. 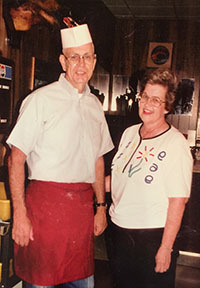 1970’s – Aunt “Leftie” became the owner of Clanton’s Café. 1978 – Tom & Linda bought out Leftie. They added on the Peach Tree room during their ownership. 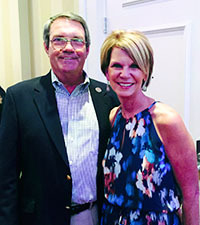 1997 – Melissa Clanton-Patrick and Dennis Patrick were made an offer they could not refuse, the offer was that they move to Vinita and take ownership of Clanton’s. Dennis had been in the restaurant business for many years and previously managed five Black Eyed Peas for Colorado Restaurant Management. With having children about to enter middle school it seemed like the perfect time to make a change. There is a lot to be said for raising a family in a small town, you know everyone and many of the residents are family. The thought of a slower paced way of life was very enticing. Of course, running a successful restaurant isn’t exactly slow paced but it sounded good. 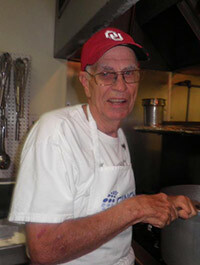 Over the years Dennis and Melissa have become a fixture in the small town of Vinita. They are big supporters of the town’s schools, charities, and it’s people. They do this by contributing their time and finances to many of the local organization and charities. Dennis and Melissa are known for being some of the town’s best ambassadors. They greet travelers from all parts of the world. Clanton’s is featured in many tourism guides that are distributed across several countries. Clanton’s Café’ is synonymous with Route 66. 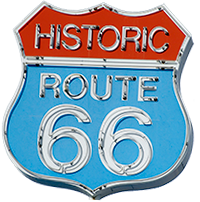 Dinner at Clanton’s Café is a necessary part of the Route 66 experience. It is a true slice of Americana. Clanton’s would like to invite you to be a part of our history, come in make yourself at home and enjoy our small town hospitality. Don’t forget to sign our guest book while you are here.